William Howard Morris began his funeral directing career in 1886 in Bellbrook, Ohio. William and his wife, Lillie (Austin) had owned a boarding house for carpetbaggers, and saw a need in the area for a reputable funeral home. The next location after Bellbrook was in the small town of Alpha, and then they moved to downtown Xenia for a short while. They later moved to Old Osborn, which has since become Fairborn. William and Lillie had five sons, Austin, Warren, Art, John and James E. and one daughter, Katherine. All five sons were active in establishing highly reputable, respected family businesses. William opened the Dayton location on East 3rd Street in 1905, and his grandson James R. Morris (Bob) built the Kettering location on E. Dorothy Lane, in 1974. In 1986 a 3,500 square foot, handicap accessible addition, with beautiful furnishings and stained glass windows was added to the Fairborn location to complement the existing Victorian home. The whole front of the Kettering funeral home was bumped out and a pitched roof was added to the entire building. The new addition has a ceiling height of 23 feet and includes a beautiful fireplace, with additional seating area. Large windows allow natural light to filter the entire building, giving it a warm and homey atmosphere. 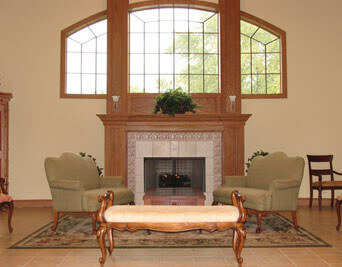 The Morris Family is the oldest established family owned funeral home in the Miami Valley area. 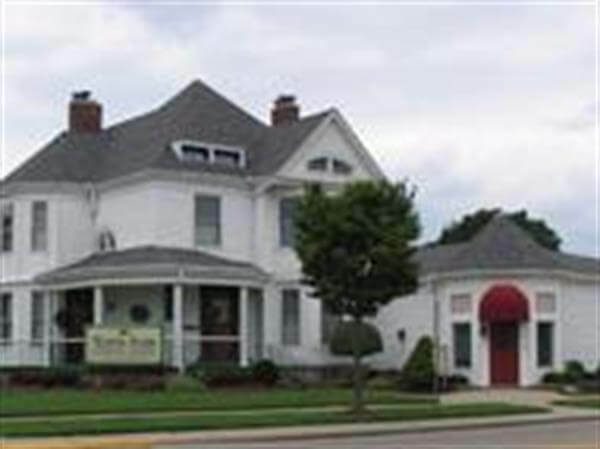 We opened our first funeral home in 1886 in Bellbrook, Ohio and we now have two locations in the Miami Valley Area. When you call us you are entrusting your loved one with one of our family members who not only own, but actually work at our funeral homes. You do not get just an employee of a large chain managed out of state or out of the country. Owned by a Kansas based company, this chain is spreading across the country. SCI Group funeral/cemetery conglomerate chain. Sold in June 2005 to The Meridian Mortuary Group of Alpharetta, GA, and again in the summer of 2007 to the Keystone Group. And again the summer of 2010 to Service Corporation International of Houston, TX. Also owned by SCI Corp Group.